I tried another salmon recipe that I’ve never had before. It was good, but it needs some tweaking and maybe some of my readers can help me figure out what to do different next time. 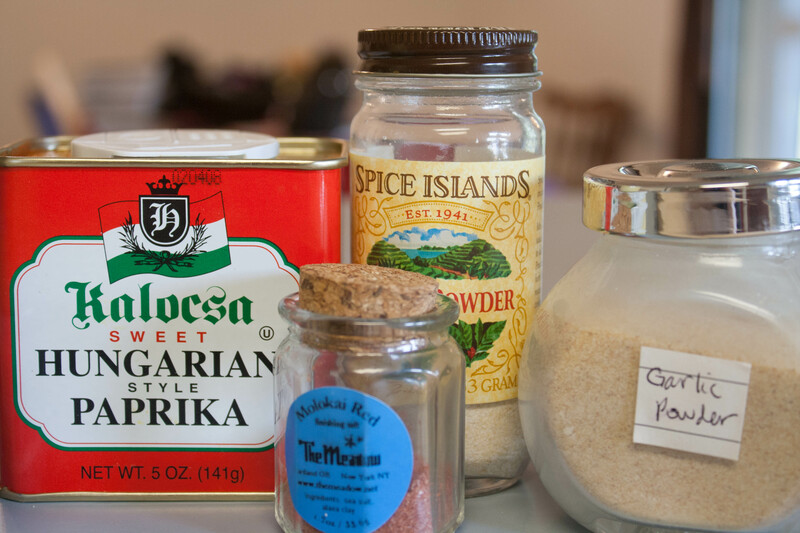 I was trying to find an easy recipe with the ingredients I had on hand and was coming up empty. Most of the salmon recipes I wanted to try needed ingredients I didn’t have. Usually I always have lemons and limes but this week I was just out of everything. I found this recipe and the reviews were so good, I had to try it. Preheat oven to 400 degrees F (200 degrees C). Line a baking sheet with aluminum foil, and lightly oil. 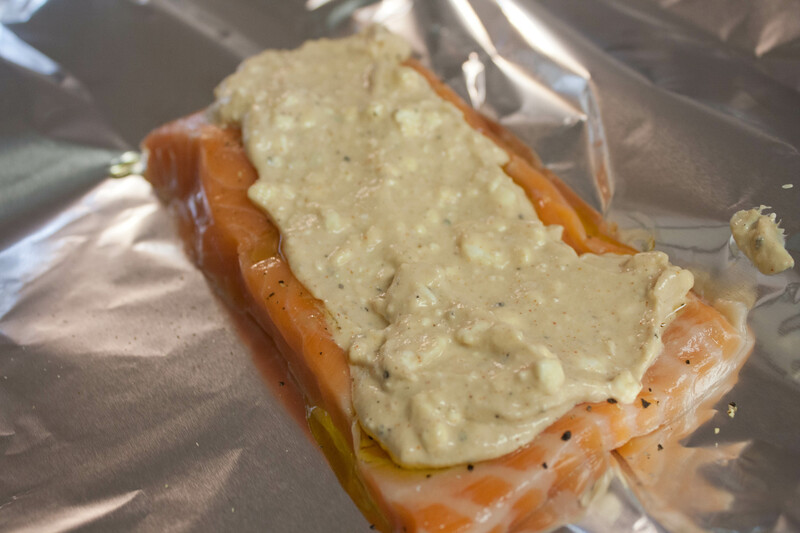 Place salmon onto foil and set aside. 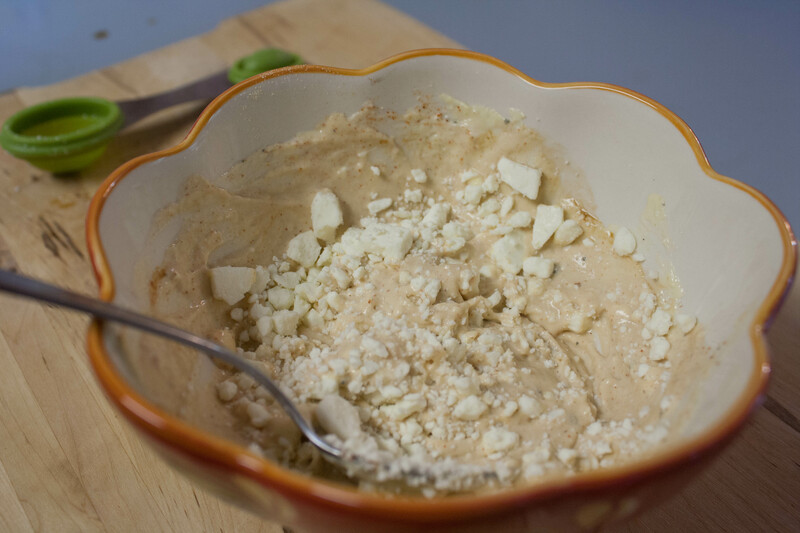 Mix together feta cheese, mayonnaise, cream cheese, Dijon mustard, balsamic vinegar, salt, pepper, paprika, onion powder, and garlic powder in a bowl until smooth. 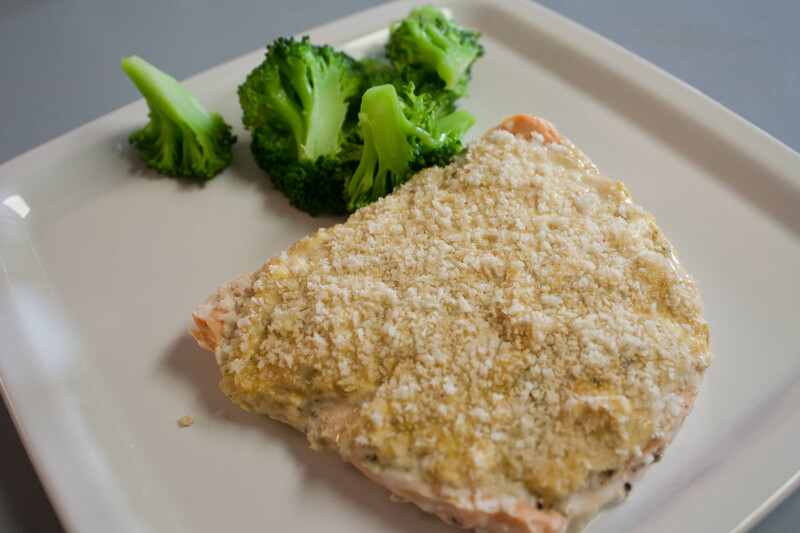 Spread mixture over salmon, then sprinkle panko over top, covering completely. 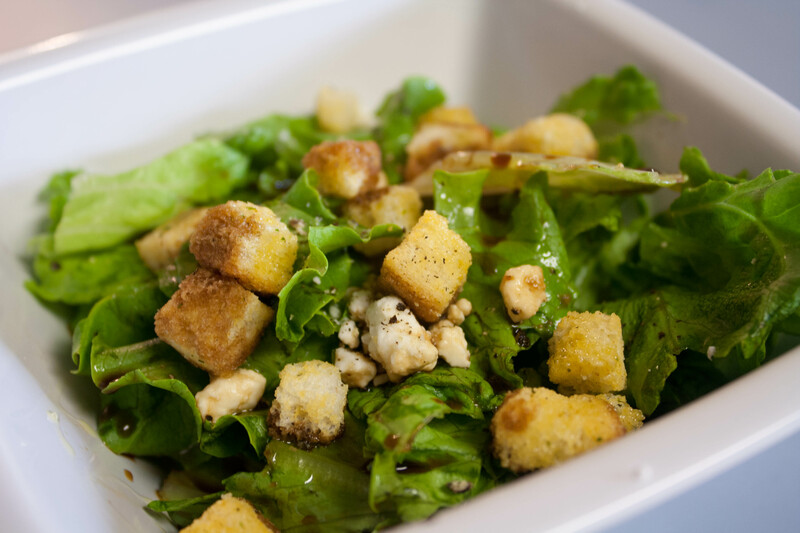 Bake in preheated oven until easily flaked with a fork, about 35 to 45 minutes. I kind of eye-balled the ingredients. I measured them but not exactly and added things to taste. 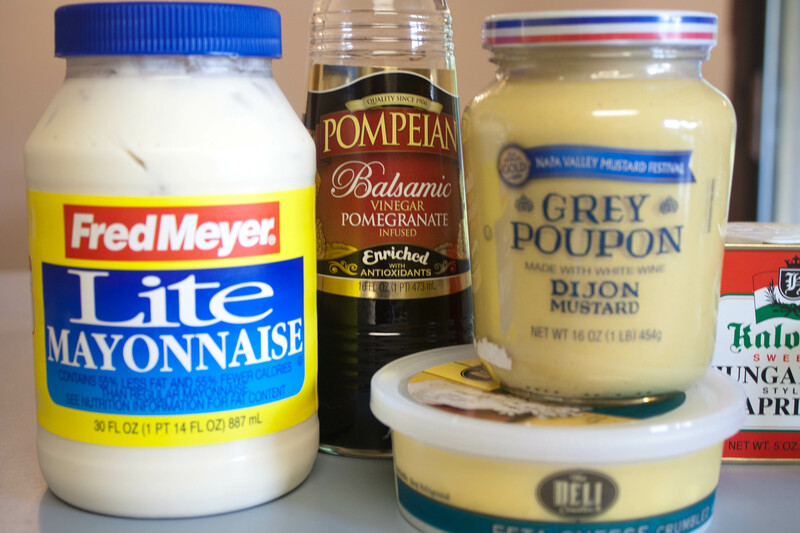 I used half of the light mayo and half of the regular mayo, but everything else I followed pretty closely. I seasoned the salmon fillets (2 not 8) with freshly ground pepper and then mixed the ingredients together in a bowl–again, tasting and adding more ingredients as I mixed it. The mixture smelled and tasted delightful. The feta really came through the other flavors. 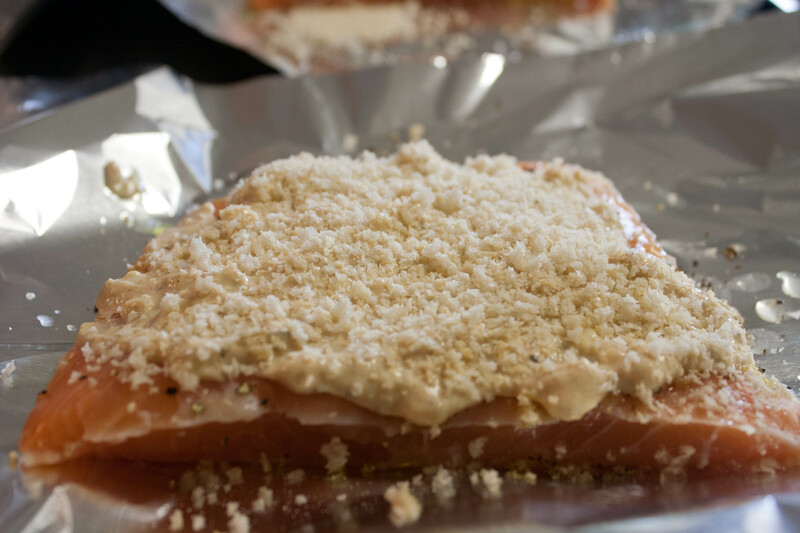 I spread it evenly on the salmon and then topped it with the bread crumbs. And this is where I need some help from readers. Unfortunately, the feta mixture didn’t really change texture. I guess I thought it would be cooked a little bit? And the breadcrumbs did not get crunchy like I thought they would. I was disappointed with that. I wanted the topping a little crispy. The meal wasn’t BAD, I just wanted it to be crispy. So what did I do wrong? Should I have broiled it for the last minute or two? Turned up the temperature to 400 instead of 350? Despite not being crunchy, the flavors were good, the feta was awesome. I steamed broccoli to go with the fish and had a side salad. Dinner was around 700 calories total. 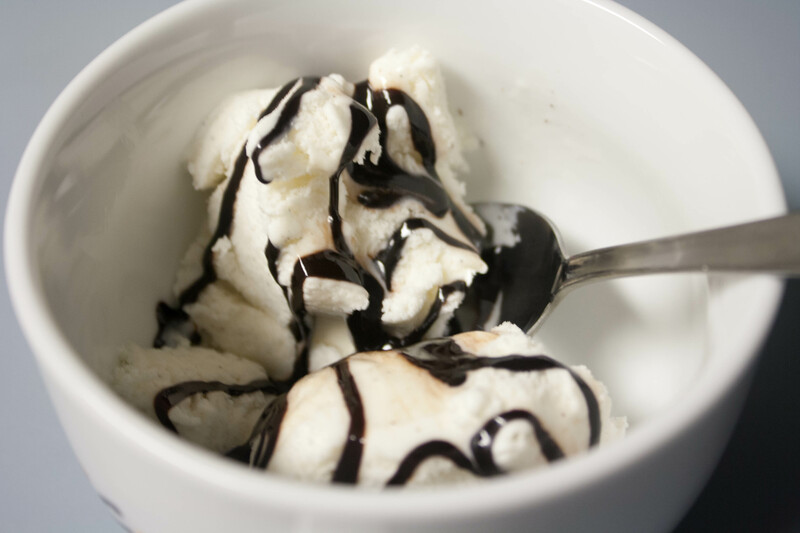 I enjoyed a small bowl of Breyer’s natural vanilla bean ice cream with some of the Wax Orchards fudge sauce. So good. QUESTION: Ok chefs, so how do I make the topping crunchy?